I am so excited to release April's New Digital Stamps! 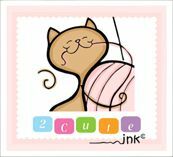 Don't forget you can get these cuties all for $5 by joining the 2 Cute Ink Digital Stamps Club! Not wanting to join the Club? You can get 6 out of the 8 digital stamps in my 2 Cute Ink etsy shop! JOIN THE CLUB THIS MONTH IN APRIL AND GET THESE TWO DIGI"S BELOW FREE!